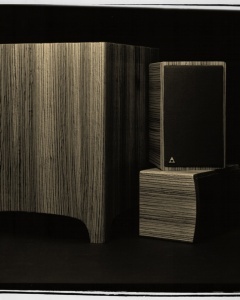 Highly sought after and collectible speakers worldwide. For over thirty years, Triad has defined the high-end custom loudspeaker market, starting with compact, handcrafted satellite/subwoofer systems in the 1980s, to a greatly expanded line of American-made speakers today. 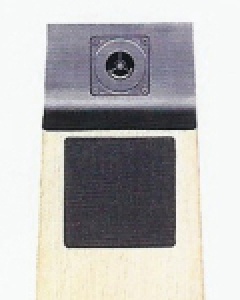 Throughout the years, Triad has designed and manufactured applications-based loudspeaker solutions to blend into customers homes and provide outstanding and reliable performance. Premium wood veneers, custom paint, and custom-engineered speakers have been offered by Triad almost from the beginning. The industry’s highest standards for cabinetry and internal components have been upheld since the beginning through today’s Triad speakers. Triad has never used cookie-cutter designs or taken shortcuts. 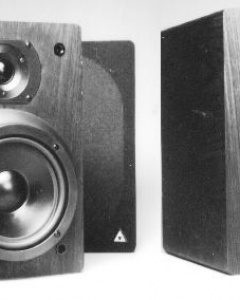 Over the history of Triad Speakers, many glowing reviews have been published, and many awards have been won. Consistent through the years is a commitment to excellence in build quality, sound quality, service, and support. Welcome to the Headset! 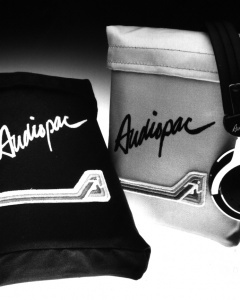 Something momentous happens when Audiopac matches music to your motion. 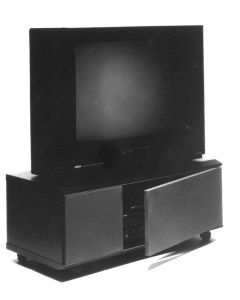 The original Triad System One consisted of two satellite speakers and a subwoofer with 10 watt amplifier. A solid state breakthrough in bookshelf sound reproduction. 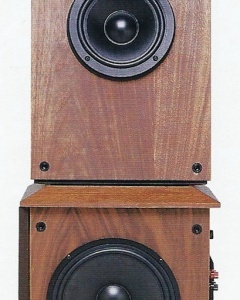 The Triad System Two consisted of two satellite speakers and a subwoofer with 70 watt amplifier. 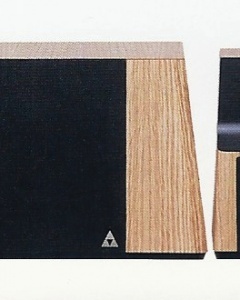 The Triad System Three consisted of two satellite speakers and a powered subwoofer. 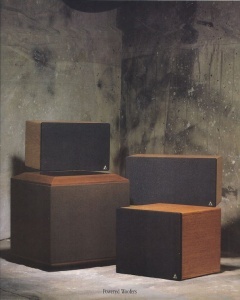 The Triad System Four consisted of two satellite speakers and a powered HSW 400 subwoofer. An innovative solution for integrating a subwoofer into an A/V system.